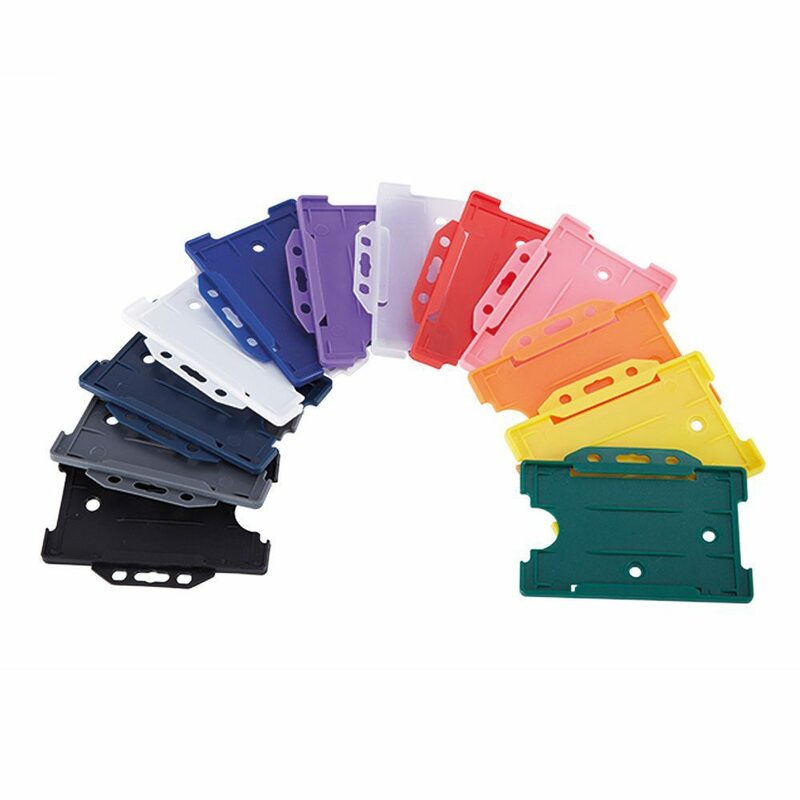 Landscape open-faced badge holders in a wide range of colours. 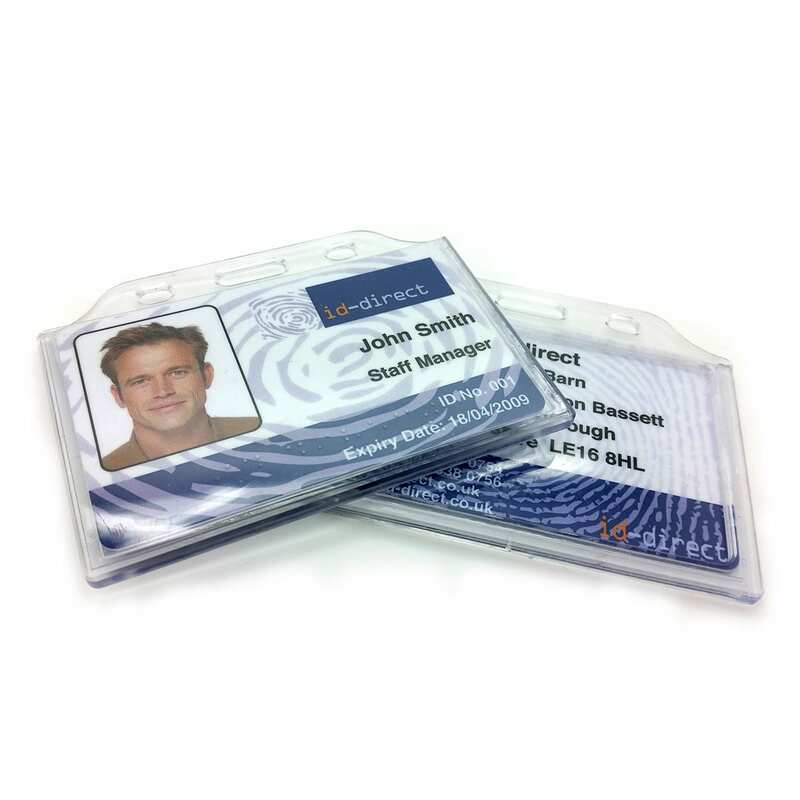 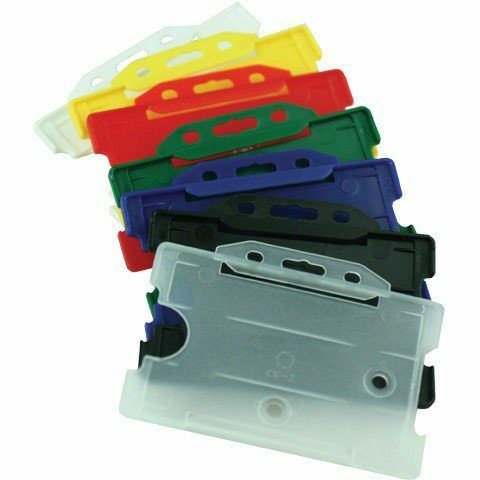 Designed to hold a single PVC card credit-card size. 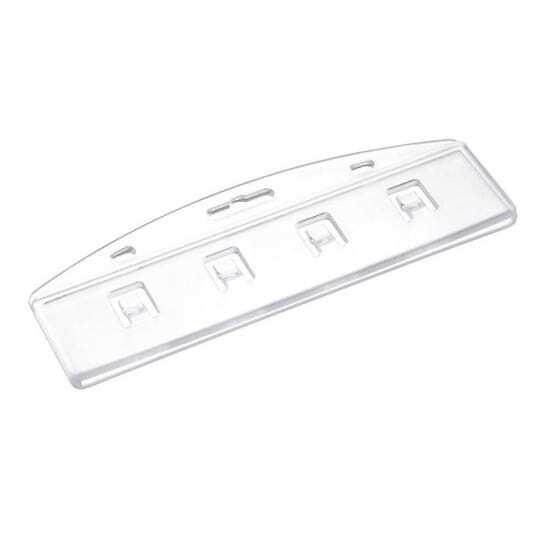 Badge holders protect the card from wear and tear and also provide slots and holes for wearable accessories like Lanyards and clips.